On April 4th 2008, Patrick Kane broke the Blackhawks record for most assists by a rookie with 51. This replica scoresheet was hand signed by Kane himself. 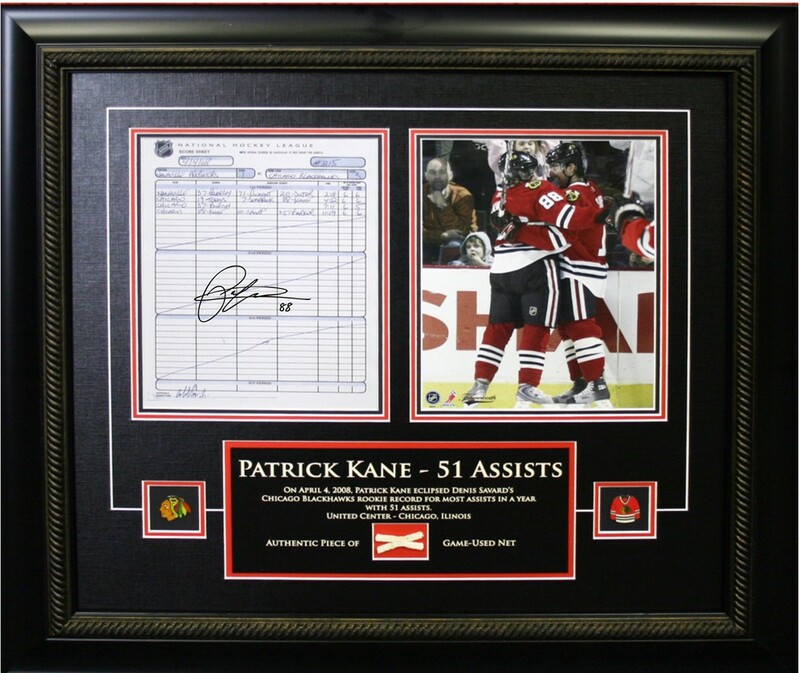 Included in this piece is an 8x10 celebration shot, and an authentic piece of game used net from the game in which Kane set the record. Matted and finished with Frameworth's renowned laser description etching. Certificate of authenticity included. FINISHED SIZE: 25x23"